When I accepted the placement at SOYL this summer, I didn’t quite know what to expect. Some of my friends had done it the summer before and said it was a lot of hard work, but a lot of fun. I quickly came to learn that SOYL is more than just working on a farm all summer. 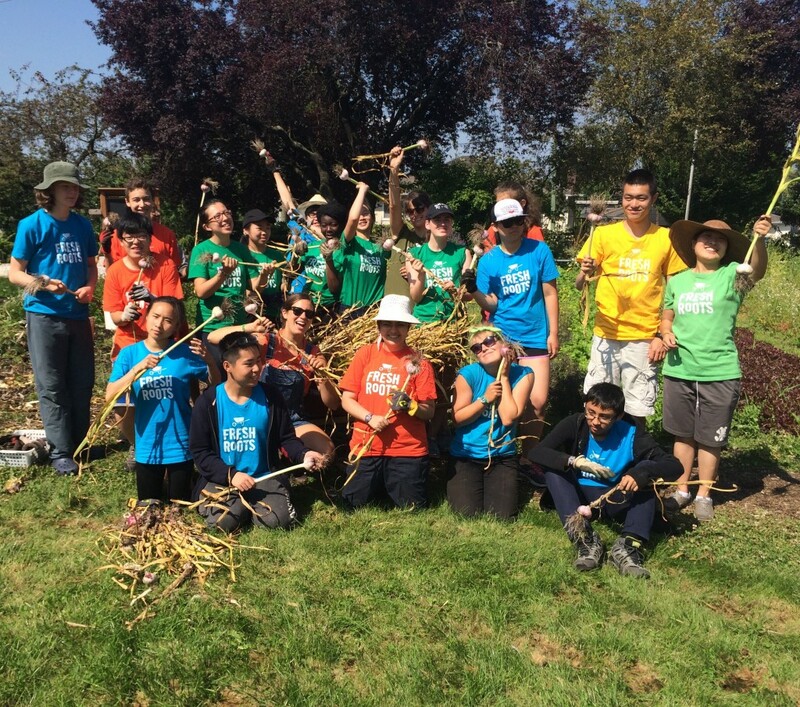 To sum it up SOYL is a program for youth run in partnership by the UBC Faculty of Education’s Intergenerational Landed Learning Project, and Fresh Roots Urban Farm Society, a non-profit organization that runs two urban farms on high school grounds. SOYL is perfect for anyone who is interested in the food system, sustainability, and leadership. 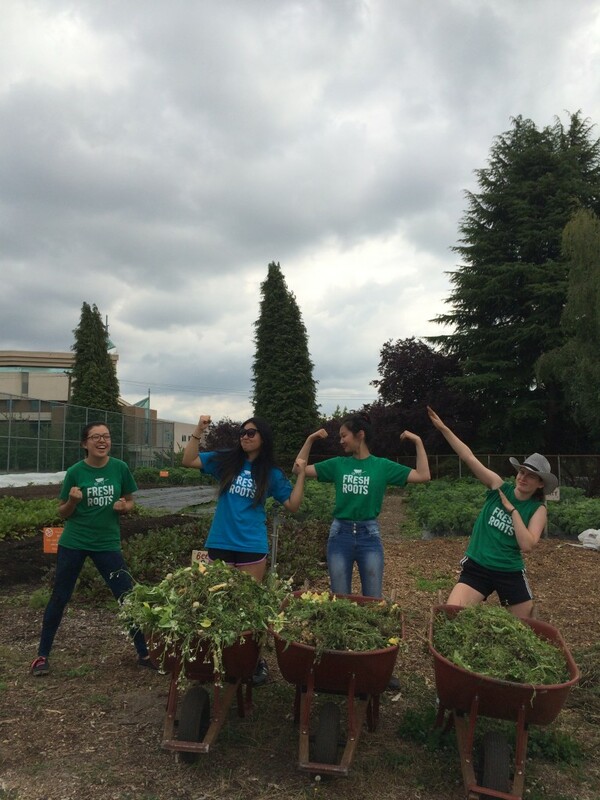 Over the course of the seven weeks we participated in numerous workshops, traveled around Vancouver on our weekly community days, and learned more about food and agriculture than I could’ve imagined. I decided to join the SOYL program because I was, and still am, interested in all the things I mentioned above, the food system, sustainability and leadership. I had my own vegetable garden at home and was curious about how food is grown on a commercial level and all the factors that affect the production. Since there is no course in school that teaches about agriculture or agronomy, I thought SOYL would be the perfect opportunity to learn more about the things I was so interested in. Every morning we (when I say ‘we’ I mean the 24 SOYL participants) would go to one of the schoolyard farms at either Vancouver Technical Secondary or David Thompson Secondary and work in the farms for the mornings and then participate in a workshop to help us build our leadership skills or prepare for market, where we sold all the produce we grew. Each day was a bit different in terms of what we were doing, which only made the program more fun. We were split into crews of six youth and would work together on whatever task we were assigned and one of the farmers – who have the coolest jobs in the world – would guide us and answer any questions we had. My favourite memory from this summer would definitely be the day we made blueberry jam. All of us – the facilitators, youth, and chefs, squished into the Van Tech kitchens on probably the hottest day of the summer and made over 150 jars of jam. It was so much fun, we had music playing and people were laughing and smiling and we were making delicious blueberry jam that we could soon sell to raise money for next year’s SOYL program. My summer with SOYL has taught me so many things and has shaped my future in ways I don’t quite know yet. Before SOYL, agriculture was something I was interested in but I didn’t know anyone else with the same interest, not many high school students go around saying “I really want to be a farmer when I grow up.” For me, the most valuable experience I had this summer was talking to all the farmers who work on the farms year-round and learning about how they got to where they are. There are so many programs more than general sciences and arts, and talking to people who had been a part of these programs really opened my mind to the possibilities I have once I graduate high school. In regards to life-long lessons I learned, the one that stands out to me the most is not taking food for granted. It’s so easy to not even give a thought to the people and industry that puts food on our plates every day. There is so much more that goes into getting food from farms than a truck driving it to the supermarket, and learning about the food system has given me a new appreciation for the food I eat. In more ways than I can count, SOYL has not only taught me about food but has also helped me become a better, more knowledgeable and more responsible person. 1. Teachers are incredible force for innovation. Check out what’s happening in Chilliwack or Delta, for new farms on school grounds. We’re excited to support these projects as we can. 2. The new BC curriculum creates so many opportunities for teachers and students to use experiential learning through the farms – let’s take that opportunity to explore math, science, literature through a lens of indigeneity and sustainability. We had an incredible field trip exploring these themes just this past month. Come and plant with us! 3. SOYL (our summer internship program) focuses on providing job skills training, food literacy, and self-confidence. And it’s in high demand We had twice the number of applications as we had spots for youth. 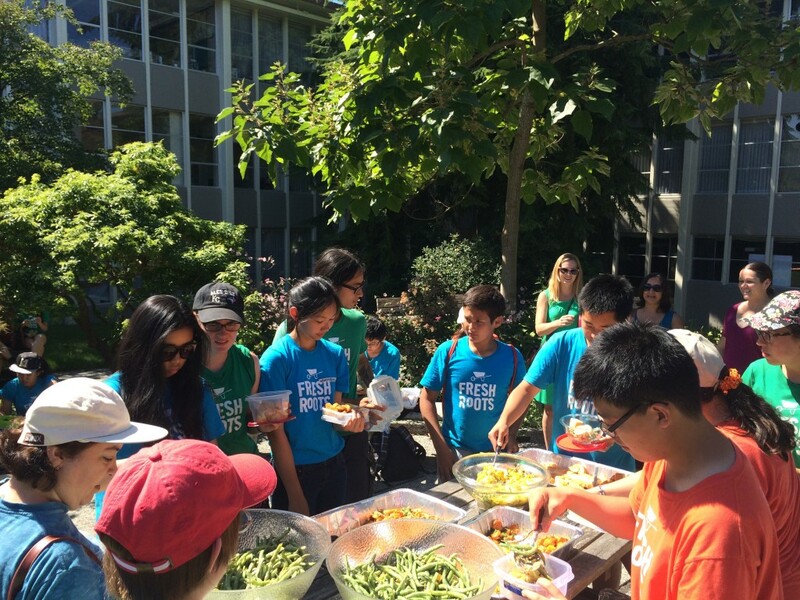 We’re excited to help provide healthy food for all youth during the summer. Learn more here. 4. Almost 1/3 of food produced globally is thrown away. THAT’S A LOT – Even if just one-fourth of the food currently lost or wasted globally could be saved, it would be enough to feed 870 million hungry people in the world. Learn more through the FAO. 5. We grow healthy food – and, we help help support an urban connection with food and food systems to remind youth of the intimate connection we all have with land, food, and community. Come and eat with us and with rural farmers who are getting more food to the plate than we ever could. Cheers to them. 6. Singing feels good – so come and join Rhythm and Roots Choir for a show where the proceeds are going right back into Fresh Roots. Get your tickets now. Thanks to the incredible weather, fertile soil and a little elbow grease, the fields are producing the most beautiful greens and roots in such great abundance we can hardly keep up! Thankfully, we have some extra help from our new-hires, Allie, our new Good Food Distribution Coordinator and Cody our Schoolyard Farm Worker. With these two on the team we’ll be growing and selling more food than ever before.